Picture this – all of your friends are taking their brand new (or very retro) campers out on something called ‘a weekend warrior trip’ and they’ve invited you to come along. At first, you thought it would be a great idea, but then you stepped out of your house and remembered that your superb ‘all-singing-all-dancing’ Tesla is, in fact, not a camper, or even a Tesla Bus. 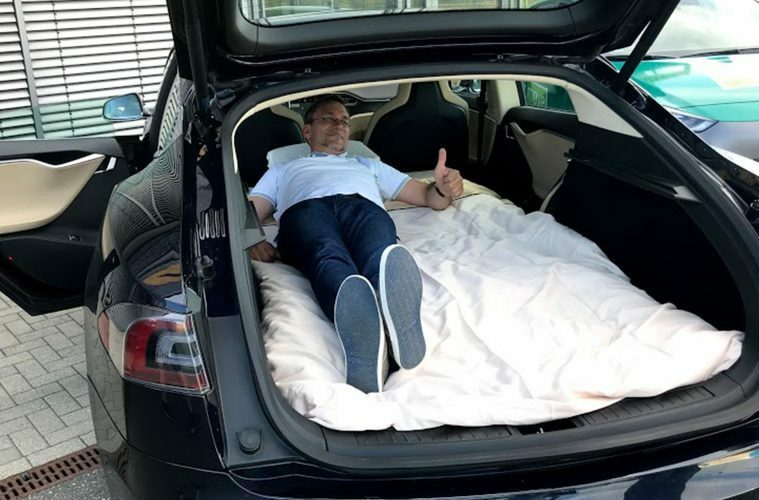 Now, you might not have your own Tesla, but you’ve probably come across this scenario with your four-door saloon car or know a mate that has. If only you had a Dreamcase to hand, then you could have shown them who the real weekend warrior was! Get Yourself A Dreamcase And Be Ready For Any Adventure. What’s the best bit about camping with friends? Is it the weeks spent planning and meticulously scrolling through deals websites to find the best hotels and campsites to stay at, or is it the freedom to just set off at a moments notice and rock up wherever you fancy. (Spoiler alert – it’s the second one). With a Dreamcase, you can turn your Teslas into a pop up campers with attitude. Now you can get from A to B in record-breaking time and do that cool thing where the doors dance up and down to music to entertain the kids when you arrive. Apart from being a case full of all of your camping dreams, a Dreamcase is a revolutionary bit of kit that you can keep in your car for whenever the Wanderlust bug bites. 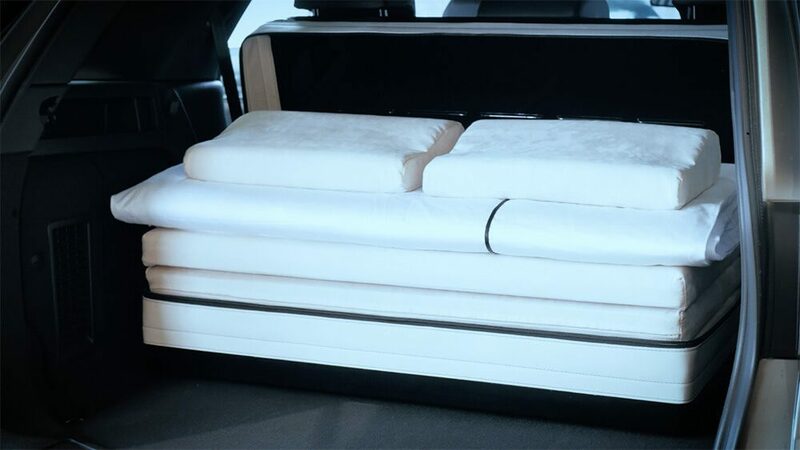 Now you can turn the back seats of your car into a luxury double bed with ease, providing a convenient and neatly-packed solution to living off the grid. I can hear you saying ‘well, that can’t be very comfy’, but that’s where you’d be wrong. Once you open up the Dreamcase, you’re greeted with a multi-layer memory foam mattress that will soak all of your worries and cares away (can you tell I’m tired while writing this; just the thought of a memory foam mattress is making me want to…zzz). 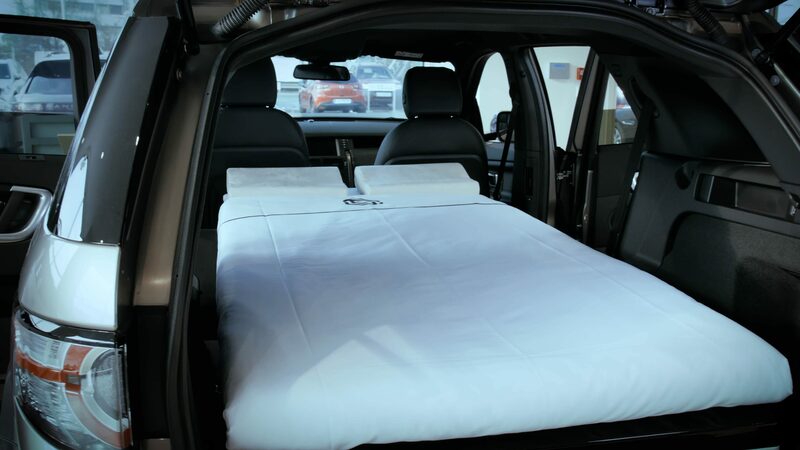 You’ll also find a car duvet and pillows all neatly tucked into the swish-looking case, giving you everything that you need for a comfortable night watching the stars. Is The Dreamcase Easy To Use? According to the manufacturers, each Dreamcast can turn from space-age case to bed in under two and a half minutes, but if you’ve already set it up into ‘Quick Pack’ mode, then it takes less than 60 seconds. 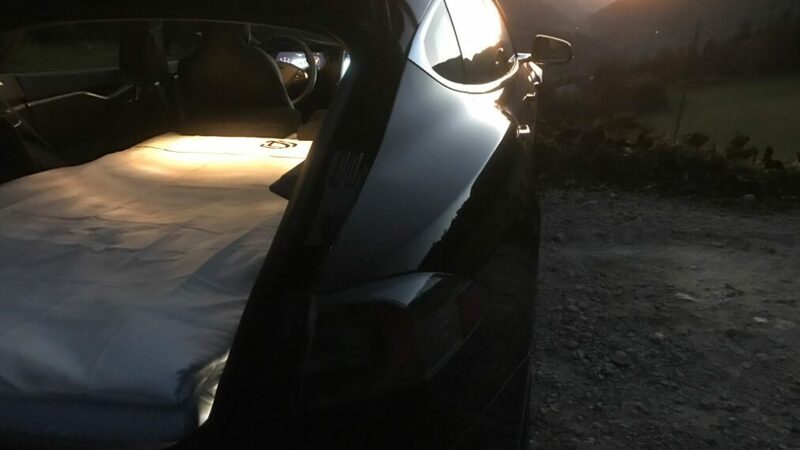 Apart from making your Tesla into a camper, the Dreamcase makes pulling in for a night of sleep at service stations seem a little more comforting and seems as though it would give you a better rest than bedding down on the back seats with your kid’s lego sticking into your ribs. 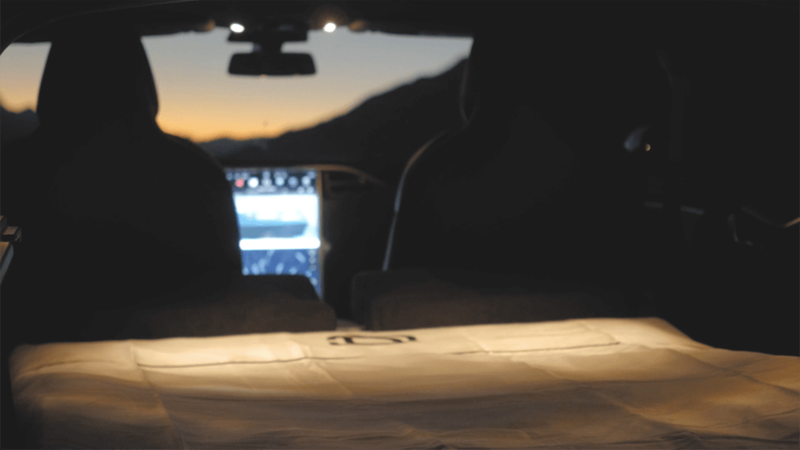 The Dreamcase makes sleeping in your vehicle safer and more accessible, and then it all folds away into a box that you can forget about until next time. The memory foam mattress folds out from four panels into one full mattress. Memory foam is comfortable and reliable, and now it’s incredibly portable too. You don’t just have to have it as a bed either; panels can be propped up if you want to read, play a game or just look out of the window at the scenery; and they can also be removed and turned into seat pads too if you’re not a fan of sitting on the ground. The shiny looking case itself acts as a height prop when in use, bringing the height of your vehicles boot or trunk to the same height as your folded down seats. This is pretty clever as it means that you end up with a straight surface and not one that feels all lumpy and bumpy. Can I Only Get This If I Have A Tesla? Not at all. Dreamcase currently cater for a variety of vehicle makes including Porsche, Lexus, Skoda, Ford, VW, LandRover and more! They’re all custom designed to fit individual cars and made to measure, so you won’t have to worry about fitting a square peg into a round hole! Here’s the LandRover Dreamcase in action! I have a camper, so this is never anything that I’m going to need. But, just like we praised Four Wheel Campers for making truck campers accessible to everyone, the Dreamcase makes camping an option to people who perhaps can’t afford two separate vehicles or just don’t have the room for a behemoth adventure bus on their drive. 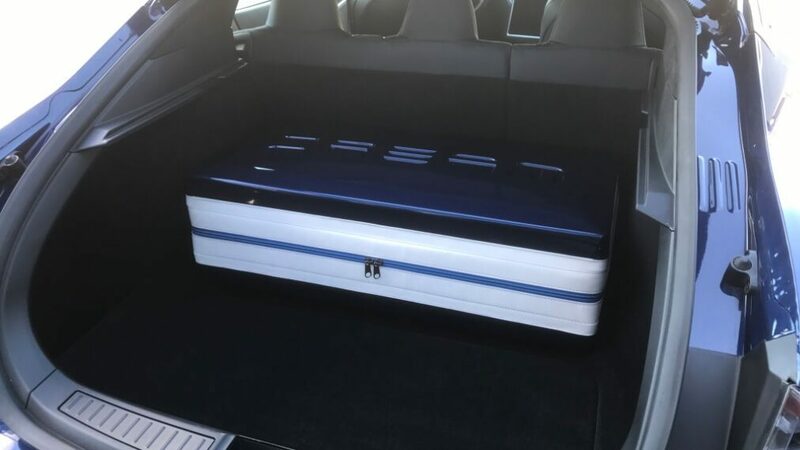 The dreamcase for the Tesla Model S Series will cost you €749 which is quite expensive (but then again it’s an expensive car. I’d pay the money for the ease of storing it away and installing when I wanted to go camping, but a large part of me thinks that throwing a few duvets in the back instead would save me a large wad of cash. What are your thoughts? Join us on Facebook, Twitter and Instagram and let us know if it makes you excited or sends you to sleep! Looking for Christmas present ideas? Check out our Campervan Gifts guide! These tiny homes will leave you wanting to get off the grid! Need some vanlife tips? We’re here to help!